I’ve known Tracey for 5 years and am always lit up and inspired by our sister time together. I’ll never forget how she rocked the Tribal Truth stage back in 2011 … she was by far one of the most powerful speakers that year on our stage. 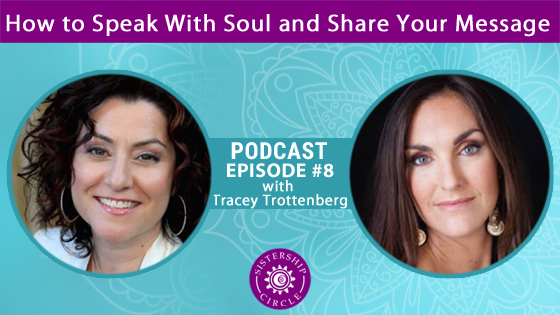 As a Master Trainer and Professional Speaker working across the globe for over two decades, Tracey has worked with thousands of coaches, authors, speakers, entrepreneurs and specialists to help them hone their message and show up more authentic and powerful on stage. She’s honored to have been a top ten finalist in EWomen Network’s 2013 “North America’s Next Greatest Speaker” out of thousands.